The apartment is good. They provide everything. It is good when you travel with a group. The view is perfect. Best thing undoubtedly is the balcony and the view from the apartment. We arrived late - long after reception was closed (which apparently is little farther from the property), which was a boon given the keys were left at the property itself. Figuring out took a few mins - but everything was okay and in fact i loved not going back and forth to the reception. The hosts had good remote connection informing stuff in detail and sharing all the charges they were making on the credit card ahead of making it. You get holiday discount cards for everyone which could come in handy if you are staying longer in the area and doing some activities. The staff at the reception. 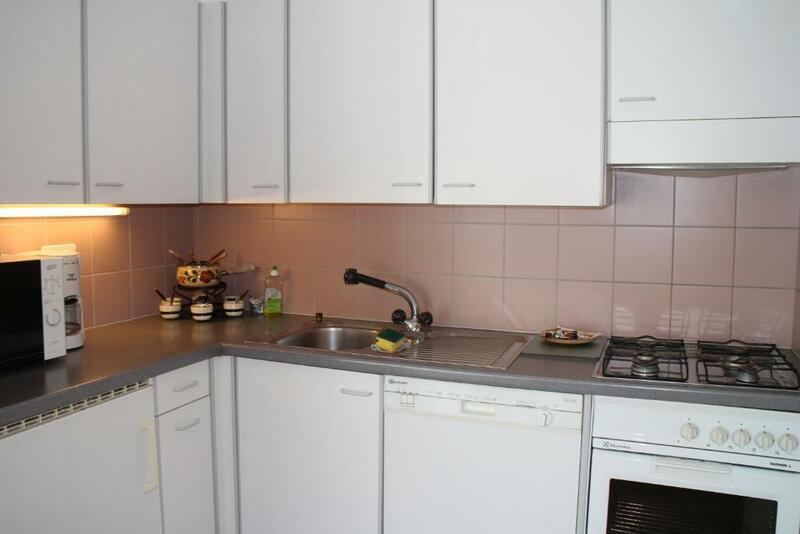 The fully equipped kitchen. The view from the balcony. And the good deal for the entire stay. Facilities in the property are great including much needed kitchen appliances for making breakfast. View from the balcony is great. The view was stunning. It is situated just a short walk from the cable car which goes up another 1000m and has some hilly and exhilarating hikes. Don't forget hiking boots, food and water! Also several water fountains with water from the mountains around the village which tasted unbelievably amazing. View from the balcony, cleanliness, comfort, amenities. Very clean and well maintained. 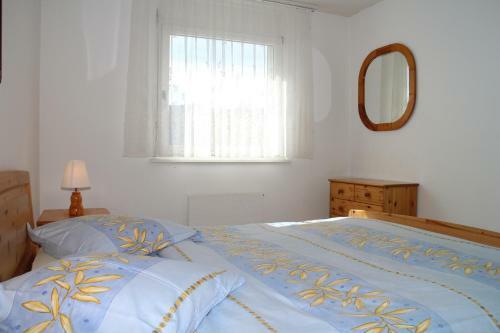 Good location, near to cable cars and train station. Very friendly and helpful staff. Check in 2 stations away but we were allowed to check out conveniently without having to go to the office. We truly enjoyed our stay here. Lock in a great price for Résidences du Chamossaire – rated 8 by recent guests! Résidences du Chamossaire This rating is a reflection of how the property compares to the industry standard when it comes to price, facilities and services available. It's based on a self-evaluation by the property. Use this rating to help choose your stay! 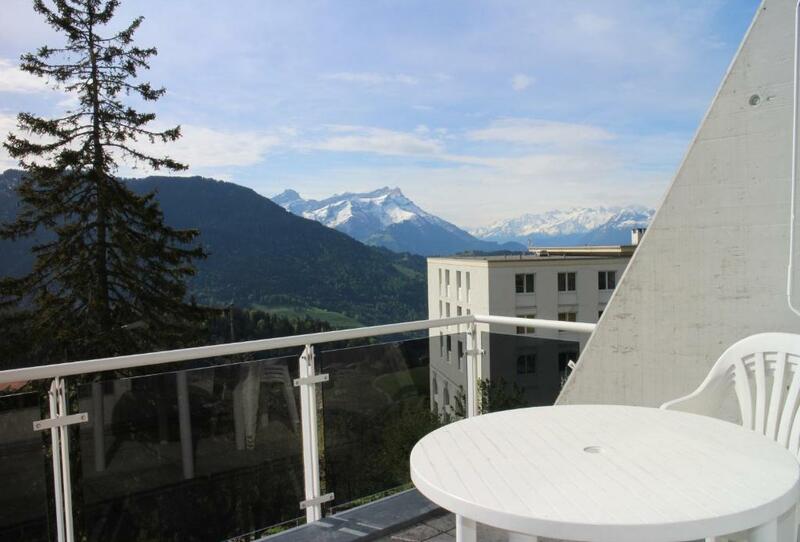 Located in the upper part of the village of Leysin, the Chamossaire resort benefits from an exceptional southern exposure, providing for lots of sunshine and a panoramic view over the Alps. Near the cable cars and the ski runs of Leysin, close to the international schools and the train station, the Résidence du Chamossaire resort offers high-quality, south-facing apartments with fully equipped kitchens, balconies and many more amenities. 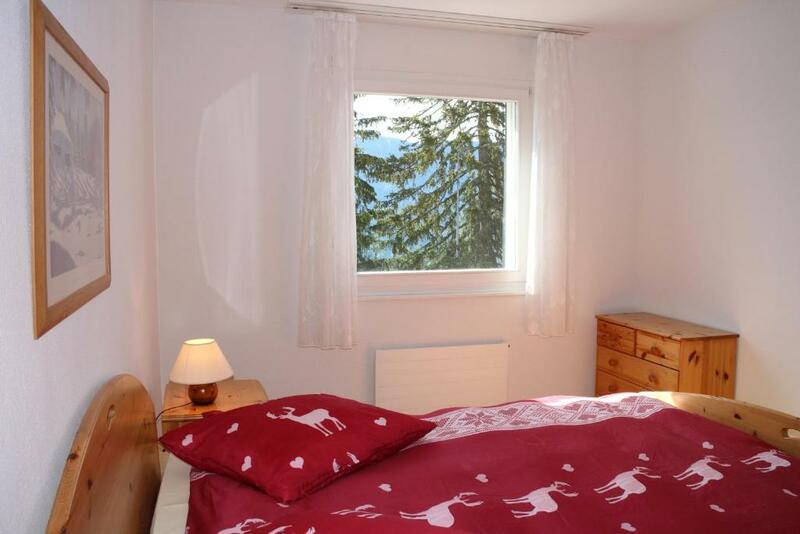 You also enjoy discounts for several restaurants and shops in Leysin as well as for the wellness center and swimming pool of the partner hotel nearby. Free parking is possible on site and garage parking is available for a surcharge and on request. Each apartment also has its own boiler system for hot water. When would you like to stay at Résidences du Chamossaire? This apartment is composed of a living room with a double sofa bed, a fully equipped kitchen with all necessary silverware and dishes, a bedroom with 2 single beds and a south-facing balcony providing a nice view of the Alps. This apartment is composed of a living room with 2 double sofa beds for 4 people, a fully equipped kitchen with all necessary silverware and dishes, a bedroom with 2 single beds and a south-facing balcony providing a view of the Alps. 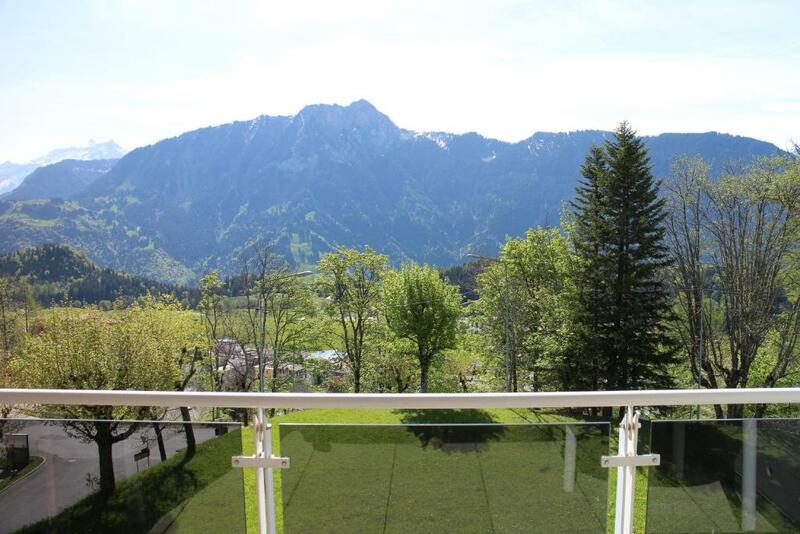 This apartment is composed of a living room with a double sofa bed, a fully equipped kitchen with all necessary silverware and dishes, 2 bedrooms with 2 single beds each and a south-facing balcony providing a view of the Alps. 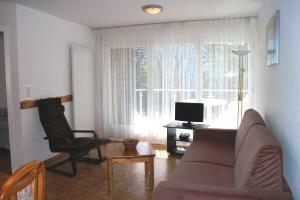 Studio with a balcony, kitchen, living area with cable TV, and bathroom. House Rules Résidences du Chamossaire takes special requests – add in the next step! A CHF350 damage deposit is required on arrival (around USD342.68). This deposit will be fully refunded 7 days after check-out, as long as there isn't any damage to the property. Résidences du Chamossaire accepts these cards and reserves the right to temporarily hold an amount prior to arrival. 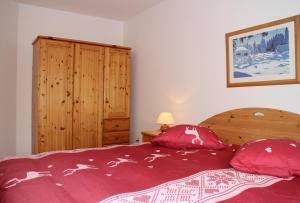 Check-in at the Résidence Castel Club Leysin Parc, Route de Collonges 1854 Leysin, 1.2 mi from the property. This is available from Mondays to Saturday between 08:30 and 12:00 and also between 15:00 and 18:30. Check-out is available until 17:00 on Sundays. Breakfast is also available at the sister resort for an additional cost. 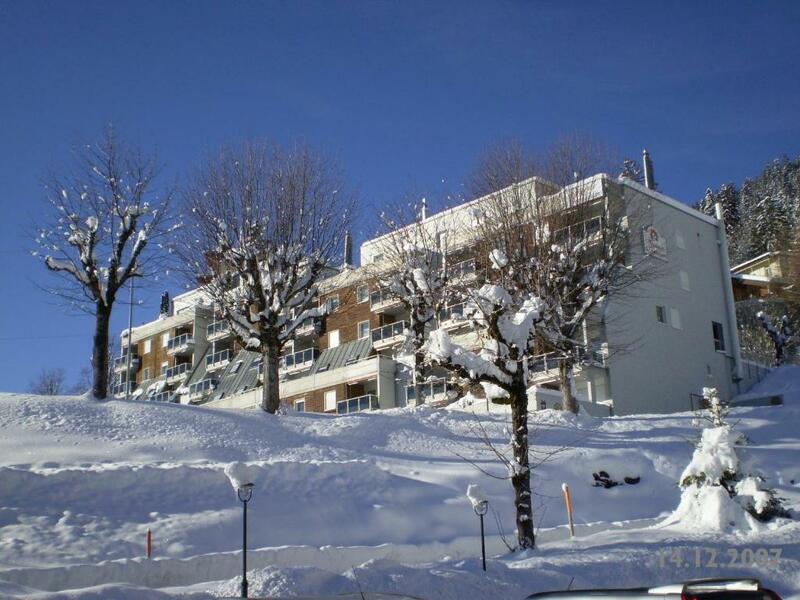 Please note that the city tax has to be paid at the reception of Castel Club Leysin Parc during your stay. If you do not pay the city tax in cash, it will be charged to your credit card after your stay. 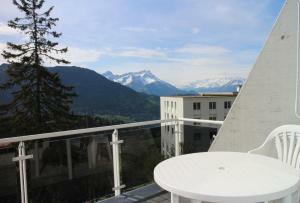 Please note the access to the swimming pool in the partner hotel costs CHF 8. Please note that each apartment has its own boiler, and so hot water is limited. A damage deposit of CHF 350 is required on arrival. That's about 342.68USD. This will be collected by credit card. You should be reimbursed within 7 days of check-out. Please note that check-in and key collection take place at: Résidence Castel Club Leysin Parc , Route des Collonges 10, Leysin 1854. The check in and check out process is not convenient. You have to go down to the village to find the reception. Location is very good, apartment is well kept. Key and laundry card collection. Very rigid management and no office at Chamossaire itself. Out-of-date decoration style. The status of certain fixtures and furniture, like the shower, and the sofa bed. The danger of having gas stove without providing proper tool to light them up. Instructions for check-in at the property are a bit confusing. Room number on the key and room number on the instruction note were different. We spent atleast half n hour trying to figure out which room to check-in. I preferred the beds to the sofa bed! Distance from Castel Club, difficulty collecting keys, reception aat La Chamoissaire was closed the whole time I was there. (They closed well before 7 pm on Saturday, although the sign on the door said they were open until 7 on Saturday.) The personnel at Castel Club were helpful and courteous.